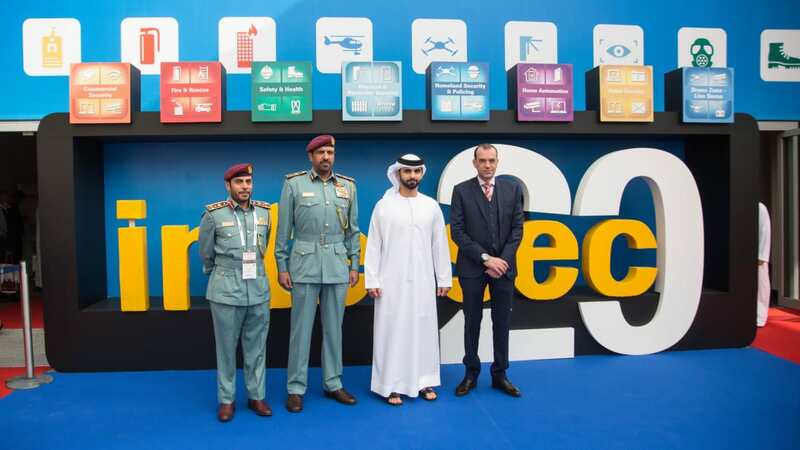 The 20th edition of Intersec, the world’s leading trade fair for security, safety, and fire protection was opened today (21st January 2018) by His Highness Sheikh Mansoor bin Mohammed bin Rashid Al Maktoum. Taking place until 23rd January, the three-day event features 1,337 exhibitors from 59 countries, covering 60,000sqm of space at the Dubai International Convention and Exhibition Centre, a five percent increase over the previous year. More than 5,000 brands are on show across seven focus areas of Commercial Security, Fire & Rescue, Safety & Health, Homeland Security & Policing, Information & Cyber Security, Perimeter & Physical Security, and Smart Home and Building Automation. His Highness Sheikh Mansoor bin Mohammed, Intersec's Patron, was accompanied by senior government officials, organisers, and representatives from the regional security industry at the opening ceremony. 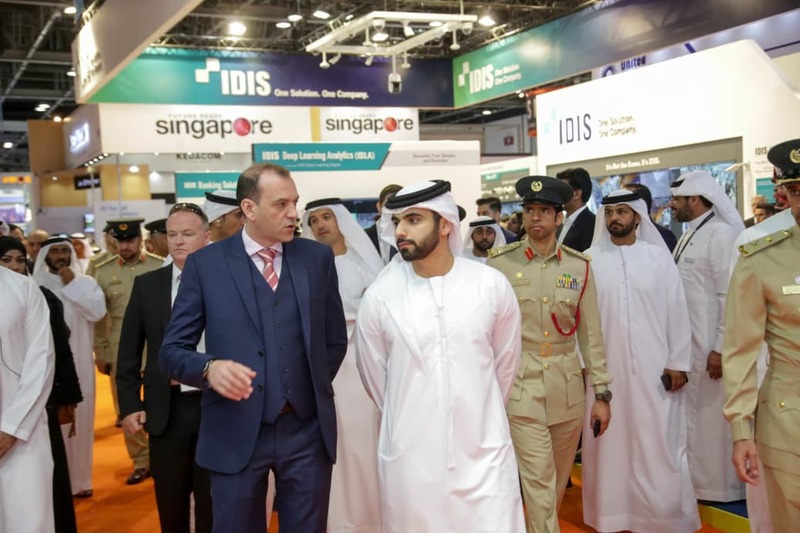 He said: “Safety and security has increasingly grown in importance for all of us today and over the last 20 years, Intersec has grown into the most important trade show for safety and security globally. Fire & Rescue recorded the largest year-on-year exhibitor growth at Intersec 2018, with 448 companies on board this year, a 24 percent increase over 2017. Information & Cyber Security too continues its upward growth trajectory, and this year features 52 exhibitors dedicated to combating cyber threats, espionage, and online criminals. With 453 exhibitors, Commercial Security remains the largest individual section, while Perimeter & Physical Security (90 exhibitors), Safety & Health (173 exhibitors), Homeland Security & Policing (91 exhibitors), and Smart Home & Building Automation (30 exhibitors) were also widely represented. 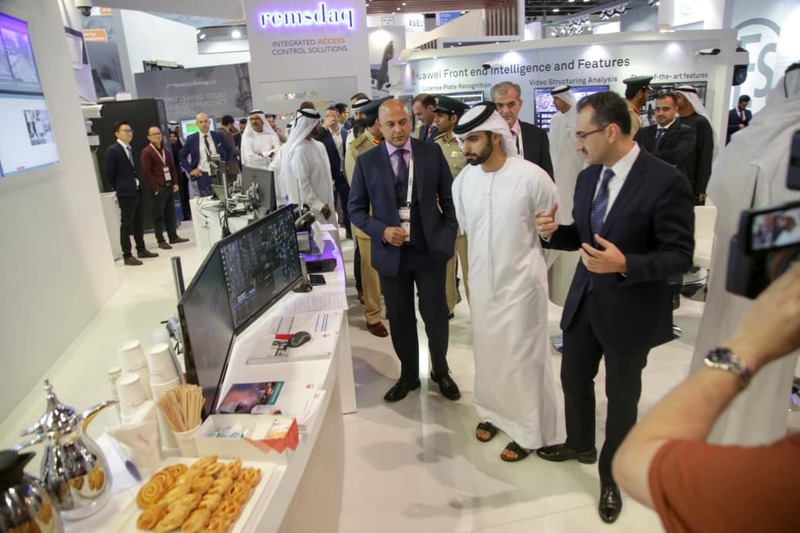 Ahmed Pauwels, CEO of Intersec’s organiser Messe Frankfurt Middle East, said: “Spearheaded by the UAE, the Middle East has undergone rapid economic transformation, and with it, the need to keep critical infrastructure, assets and people safe and secure. “That rapid transformation is reflected in the market itself, and when Intersec made its debut in 1999, when it featured just 61 exhibitors, the Middle East homeland and commercial security market combined was worth just US$52 million. “Since then, the market has grown at a remarkable compound annual growth rate of 33 percent, and is currently worth US$12.2 billion. That growth too is underlined by the business success of many Intersec exhibitors – 13 of which participated at the first Intersec in 1999, and returning in 2018. Many others have been with the show for more than 10 years, and during that time, have watched their business volumes grow in double digits,” added Pauwels. Spearheading the show highlights on the opening day at Intersec 2018 was the new Indoor Drone Zone, where the show’s Government Partners the Dubai Police and Dubai Civil Defence were among those delivering live demonstrations of their latest drones in action. Meanwhile, the Live Outdoor Demo Area was home to some exciting Firefighting rescue applications, Armoured Cars, and a line-up of Dubai Police Super Cars. Here was also the scene for the Middle East unveiling of the Bristol FL 60 XR – the world’s highest aerial platform with fire rescue ladders providing an outreach of 31.5 meters. Korean company IDIS is also among 19 of the world’s top 20 security solutions providers at Intersec’s Commercial Security section in 2018. The video surveillance provider this year launched in the Middle East and Africa several new solutions and technologies, including its IDIS Deep Learning Analytics Engine that utilises artificial intelligence (AI). Harry Kwon, General Manager for IDIS in the Middle East and North Africa, said IDIS has developed AI technology in its existing equipment, enabling surveillance that is more accurate, fast and scalable. “At Intersec, we’re demonstrating the latest iteration of IDIS Deep Learning Analytics for the proactive monitoring of people, cars, bicycles as well as showing alerts for object detection, loitering and intrusion – all adapted to fit the 16.9 ratio video surveillance sizing,” said Kwon. Elsewhere, in the Safety and Health section, American-headquartered Industrial Scientific is launching its gas detection and safety analytics solutions used across a variety of high risk industries including Public Safety, Civil Defence, Oil and Gas, Chemical Production, Mining, Steel Manufacturing and Construction. Cedric Le Minter, General Manager for Industrial Scientific, EMEA, said: “As the global leader in gas detection and safety analytics, Industrial Scientific owns around 20 percent of the market share worldwide. “At Intersec 2018, Industrial Scientific is launching iNet Now live monitoring that provides real-time text and email alerts for gas hazards, panic, and man-down situations allowing users to see and respond to incidents as they happen. “A real-time map of workers and instruments helps users pinpoint the location of anyone from lone workers to people working within a facility. We’re also demonstrating our latest Portable Multi-Gas Monitors Ventis Pro Series, Transportable Area Monitor Radius BZ1 and Portable Single Gas Monitor Tango TX1,” added Le Minter. With 83 percent international exhibitor participation, Intersec 2018’s global footprint is underlined by 15 country pavilions from Canada, China, Czech Republic, France, Germany, Hong Kong, India, Italy, Korea, Pakistan, Singapore, Taiwan, UK, USA, and for the first time in 2018, Russia. UAE participation is also high, growing six percent year-on-year, with 223 exhibitors covering 10,500sqm of exhibition space. Intersec 2018 returns with regular popular highlights such as the Safety Design in Buildings Pavilion and a Smart Home Pavilion, while a comprehensive three-day conference programme is led by the new Middle East Drones Conference and the Middle East Artificial Intelligence and Information Security Conference. Intersec is held under the patronage of H.H. Sheikh Mansoor bin Mohammed bin Rashid Al Maktoum. Official Government Partners include the Dubai Police, Dubai Civil Defence, Dubai Police Academy, the Security Industry Regulatory Agency (SIRA), and Dubai Municipality. More information is available at: www.intersecexpo.com.